The Challenger Trunk is the perfect trunk for a casual swim. Elastic waist with exterior drawstring provides a secure fit. Built-in mesh brief. Two on-seam hand pockets. Hook-and-loop cargo pocket. Interior key/card pocket. Contrast stitching. 100 percent polyester. Machine wash cold, tumble dry low. Imported. Measurements: Waist Measurement: 26 in Outseam: 20 in Inseam: 9 in Front Rise: 12 in Back Rise: 17 in Leg Opening: 24 in Product measurements were taken using size MD. Please note that measurements may vary by size. If you~re not fully satisfied with your purchase, you are welcome to return any unworn and unwashed items with tags intact and original packaging included. Race to win or race for fun. Either way, you~ll be outfitted with the latest swimwear gear to take you to the top. Features a durable, flat braided drawcord that stays tied without slipping or breaking. A moderate cut sideseam allows unrestricted leg movement. Flat seam construction ensures maximum comfort. Reduces drag. Hand wash in cold water, line dry. Consists of 80 percent nylon, 20 percent spandex. Lining is 100 percent nylon. If you~re not fully satisfied with your purchase, you are welcome to return any unworn and unwashed items with tags intact and original packaging included. 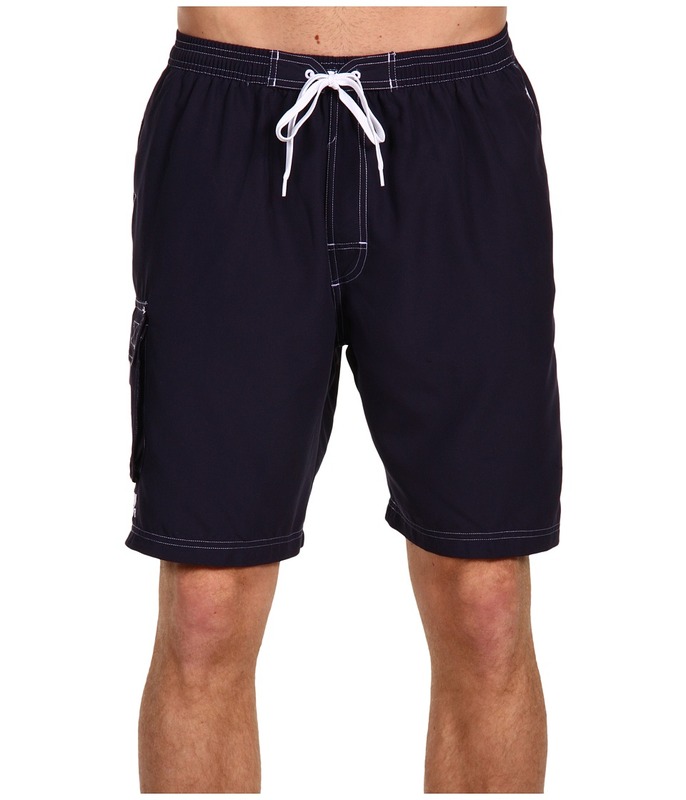 Jam to the beat of your own victorious song in these men~s TYR swimming shorts. Features a non-slip, flat braided drawcord for a comfortable, secure fit. Provides additional support and coverage while enhancing muscle compression. 10 Inseam. Consists of 80 percent nylon, 20 percent spandex. Lining is 100 percent polyester. Hand wash in cold water, line dry. Imported. Measurements: Back Rise: 9 1 2 in Product measurements were taken using size 32. Please note that measurements may vary by size. If you~re not fully satisfied with your purchase, you are welcome to return any unworn and unwashed items with tags intact and original packaging included. It~s hip to be square - the TYR Male Solid Square Leg. Nylon/Lycra spandex construction built for comfort, durability and performance. Suit resist chlorine for added longevity. Logo at front left leg. Suit: 80 percent nylon, 20 percent Lycra spandex. Lining: 76 percent polyester, 24 percent Lycra spandex. Hand wash cold, line dry. Imported. Measurements: Outseam: 11 1 2 in Inseam: 3 1 2 in Product measurements were taken using size 32. Please note that measurements may vary by size. If you~re not fully satisfied with your purchase, you are welcome to return any unworn and unwashed items with tags intact and original packaging included. Make a splash in this bold TYR suit the next time you~re at the pool. Xtra Life LYCRA material provides a beautiful, long-lasting fit that resists chlorine five to ten times longer than traditional spandex swimwear. Shallow scoop neck with wide shoulder straps. X-back construction allows arms complete range of movement. Dynamic two-color patterning. Brandmark at upper left chest. Body: 80 percent nylon, 20 percent Xtra Life Lycra spandex. Lining: 76 percent polyester, 24 percent spandex. Hand wash cold, dry flat. Imported. If you~re not fully satisfied with your purchase, you are welcome to return any unworn and unwashed items with tags intact and original packaging included. Enjoy your time in the sun from the poolside to the surf in a comfortable TYR tankini. Durafast Elite 300+ &amp#8226 Resilient fabric is able to sustain 300+ hours of use without losing its technical properties. &amp#8226 Designed to be 30 percent lighter than traditional swimwear. &amp#8226 High denier poly and circular knit maintains 360&amp#176 range of motion. &amp#8226 UPF 50+ fabrication protects your skin during outdoor activity by blocking harmful Ultraviolet A and Ultraviolet B rays (UVA and UVB). &amp#8226 100 percent chlorine proof and 100 percent colorfast to stand up against continual use in a chlorinated pool. Four-way lock seams offer improved durability. Wide, adjustable shoulder straps. Built-in contour cups provide a sleek look without the lines and are 50 percent thinner than most other cups, and offer added support. Twist detail across the top lends a simply styled finish. Loose fit hangs from the empire waist to flatter the silhouette. Brandmark at bottom left hem. Bikini bottom is not included. 94 percent polyester, 6 percent spandex. Lining: 100 percent polyester. Hand wash and dry flat. Imported. Measurements: Length: 19 in Product measurements were taken using size 6. Please note that measurements may vary by size. If you~re not fully satisfied with your purchase, you are welcome to return any unworn and unwashed items with tags intact and original packaging included. 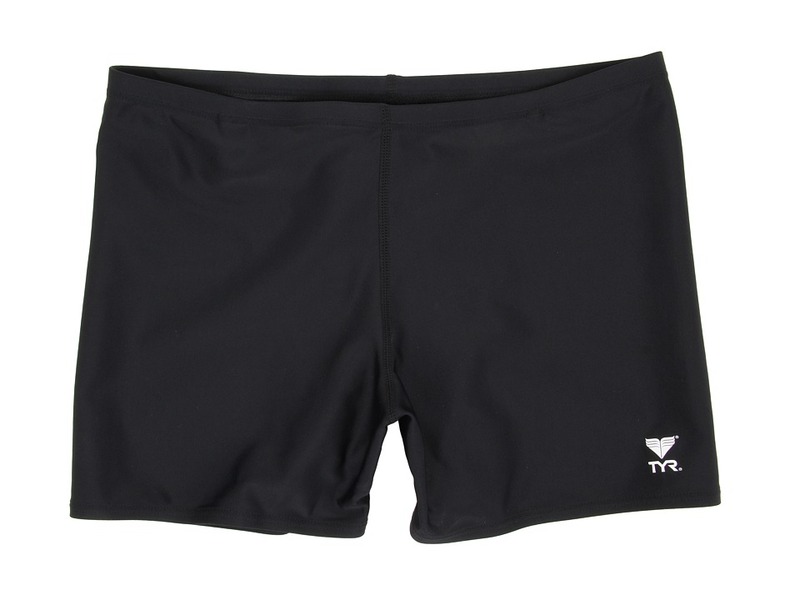 Slip on this sleek TYR skort and get in some solid swim training. Durafast Elite chlorine-proof fabric features a high denier poly fiber and innovative circular knit construction to combine the strength and colorfastness of polyester with the comfort of spandex. UPF 50+ fabrication protects your skin during outdoor activity by blocking harmful Ultraviolet A and Ultraviolet B rays (UVA and UVB). Clean look of a skirt with the convenience of a built-in short. Elastic waist provides a comfortable fit. Logo hit at middle back waist. 94 percent polyester, 6 percent spandex. Hand wash cold, line dry. Imported. If you~re not fully satisfied with your purchase, you are welcome to return any unworn and unwashed items with tags intact and original packaging included. 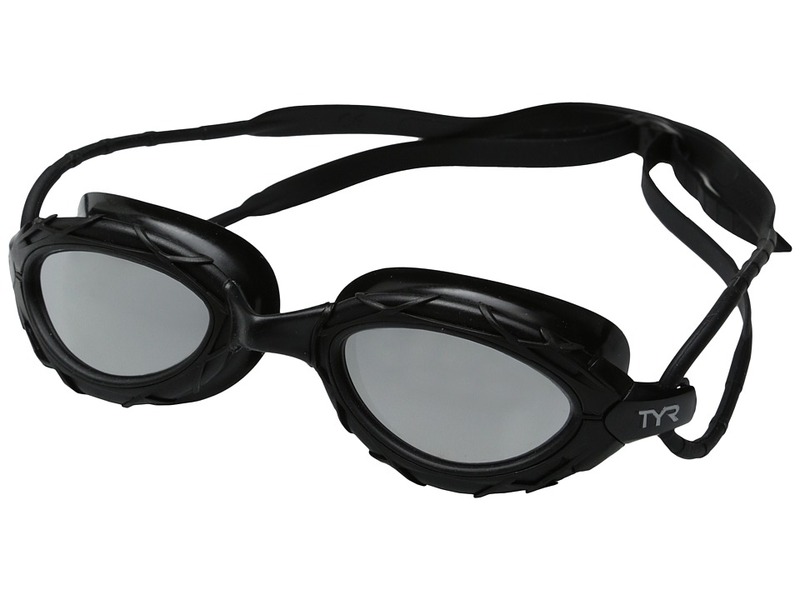 Slip into this TYR racer and leave the competition in your wake. Durafast Elite chlorine-proof fabric features a high denier poly fiber and innovative circular knit construction to combine the strength and colorfastness of polyester with the comfort of spandex. UPF 50+ fabrication protects your skin during outdoor activity by blocking harmful Ultraviolet A and Ultraviolet B rays (UVA and UVB). Elastic waist provides a comfortable fit. Brand hit at left waist. Fully lined. Body: 94 percent polyester, 6 percent spandex. Lining: 100 percent polyester. Hand wash cold, line dry. Imported. If you~re not fully satisfied with your purchase, you are welcome to return any unworn and unwashed items with tags intact and original packaging included.